Signals of Spring Students Soar with Scientist! 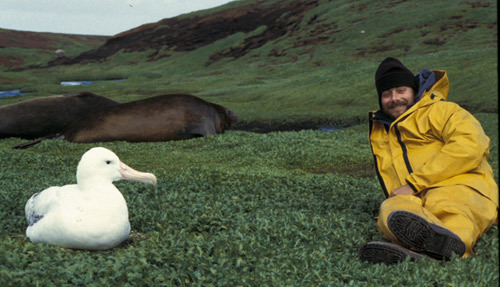 Dr. Hyrenbach, a researcher at Hawaii Pacific University, shared a presentation entitled, "Wings Without Borders: Tracking North Pacific Albatross" and talked with students and teachers from New York, New Jersey, and California. 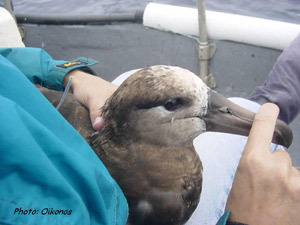 During the webcast, Dr. Hyrenbach explained that tracking these majestic seabirds taught us a lot about them - and even surprised the scientists. From the above site, you can download a 'wallet card' and make responsible seafood choices when at markets or restaurants. Signals of Spring - ACES students and teachers asked Dr. Hyrenbach excellent questions about animal tracking, conservation, endangered species and more. If your class missed this great event, we hope to 'see' you on the next one!